As a woman you probably already know that we all want to slow down time, to maintain a supple body, soft skin and eternal beauty. Even if we cannot stop time, we will further present the best intense pulsed light (IPL) epilators, modern devices whose use will give you the feeling that time stands still. If you have decided to permanently get rid of unwanted hair, you should know that intense pulsed light epilating devices are an effective solution for permanent hair removal and a fantastic alternative to classical or traditional epilators, more painful or less effective in the long run. The technology exists and has been available for many years in professional beauty clinics, but in recent years household IPL epilators have become increasingly popular and high-performing. We analyzed the majority of intense pulse light (IPL) epilators from the market and created this ranking for the year 2017 based on performance, facilities and of course the results provided by these devices. 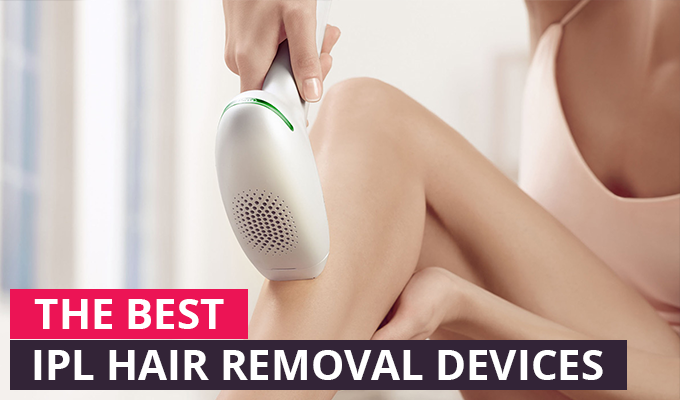 Through this guide, we want to help you choose a quality IPL hair removal device, which you’ll use gladly and which will give you the desired results. This top will be permanently updated, in time, as the new technologies and devices emerge. 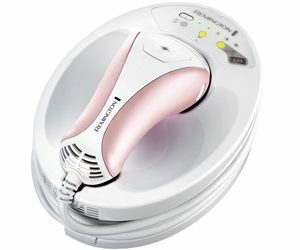 Remington is well-known and appreciated worldwide for their quality products, and iLight Ultra IPL6500QFB hair removal device is no exception. 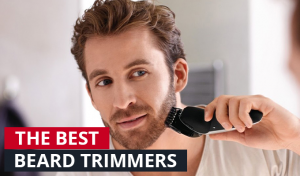 It is the most high-performing laser hair removal device with intense pulsed light (IPL) from Remington and one of the best devices of its kind on the market. The technology incorporated in this device offers quality care even at home. Like other IPL devices from Remington, this model offers 5 intensities of light, 3 attachments with different pulses (for face, bikini line and body), 2 usage modes (multi-flash and single-flash) and an integrated skin sensor. Compared to the previous versions of Remington (iLight Pro IPL6000USA and IPL6000USB), this unit is equipped with a long-term Led Quartz Infinity with unlimited pulses, which will not require replacement. Remington guarantees its functionality throughout the 2 year warranty machine. The wire design of the device may seem like a disadvantage, but this mode has some important advantages. The low weight of the device and the ability to use it anytime, without needing to recharge batteries means more convenience in use. The wire is long enough to ensure ease of use on any area of the body. 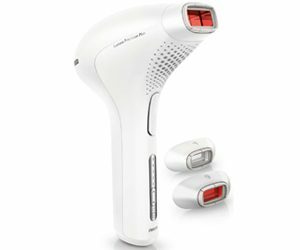 With a very good quality / price ratio, latest art technology and multiple facilities, Remington i-Light Ultra IPL6500QFB is a great choice if you want quality care. 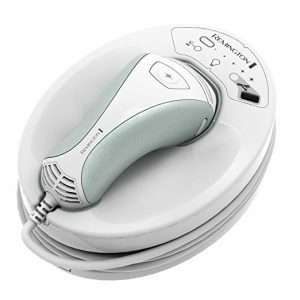 High-performing device to prevent unwanted hair growth, Philips Lumea SC2008 / 11 is effective for use on the body, face and groin. 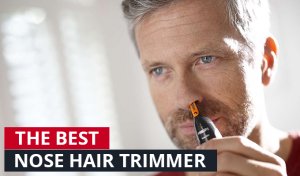 Unfortunately it is not recommended for those with natural red, blond, white or gray hair. It requires no additional products, such as creams, gels or changing the lamp. The life of the device is 140,000 pulses, approximately 5 years of use. After this, the device cannot be used. It has a modern and elegant design and it can be easily used wireless. Another quality epilator from Remington, the i-Light Pro IPL 6500 model incorporates the same efficient technology that we find at IPL6750, but with a few small differences. Thus, the IPL6500 model is capable of a maximum lower frequency of pulsations (1:01 pulse 3 sec., Compared to 1 to 2 seconds pulse for IPL6750) and has only two special attachments (for face and body). We also find with this model a skin sensor that enables automatic selection of intensity, the 5 levels of intensity and Infinity LED Quartz lengthy duration, requiring no replacement. The equipment of this model is missing the elegant storage box that accompanies the IPL6750 model. 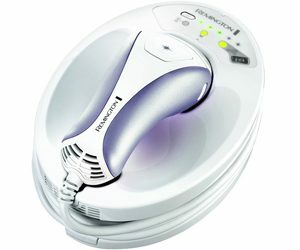 Remington i-Light Pro IPL6500 is a high-performing IPL epilator and can be considered a cheaper alternative to its big brother, IPL6750. These are the most high-performing and efficient IPL epilators on the market today. They contain the newest technologies in the field and thus their prices can be quite high. However, even if these devices may seem expensive at first glance, their value will be appreciated surely through the results offered, and the lack of unpleasant effects (like pain, irritation, inflammation, hair ingrown) or visits (expensive) at beauty salons. Did you use any of the above devices? Tell us about your experience in the comments box below.